Contributing to a better world. By being the leading brand in making environmentally friendly and socially responsible paper and board from agricultural waste. The Sustainable Development Goals serve as our compass. The current system in which the world works is no longer sustainable. Raw materials are running out, biodiversity is decreasing, environmental pollution is increasing, the climate is changing, and more than three billion people are below the poverty line with an income of less than $5.50 (€4.85) per day, of which more than 750 million people live on less than $1.90 (€1.65) per day (source: World Bank, Piecing Together the Poverty Puzzle 2018). PaperWise wants to make a positive contribution to a better world by focusing on social and environmental aspects. 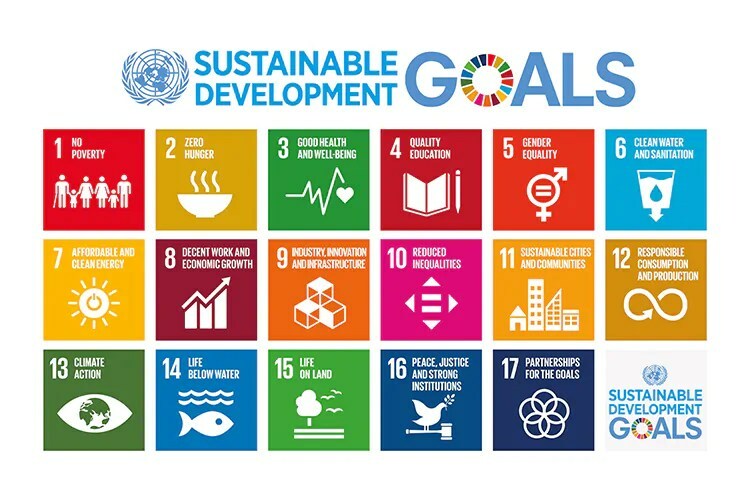 The United Nations’ Sustainable Development Goals serve as our compass in doing that. When crops such as rice, wheat, barley, cereals, corn, hemp, and sugar cane are processed, 80% of the plant – its stems and leaves (agricultural waste) – is left unused. Worldwide, billions of tons of agricultural waste are produced every year. Currently, most of this agricultural waste is burned. In the developed world, this is done in biomass power plants. In poorer parts of the world, the agricultural waste is burned in the open air, resulting in valuable resources being lost, unnecessary CO2 emissions, environmental pollution in the soil, and smog as a result of the smoke. Hundreds of millions of small-scale farmers with very low incomes in developing countries only receive income for the food that the plant produces, which is only 20% of the actual plant. The European market for paper and board is worth over €100 billion and accounts for 20% of the global market. Currently, 50% of paper and board is made from trees from plantation forests, and 50% is made from recycled paper. Each year, the total forested area worldwide decreases by areas equivalent to the size of thousands of football pitches. This is detrimental to biodiversity, CO2 retention, and clean air. Wood from forests is a primary raw material that takes between 10 and 80 years to grow. Agricultural waste is a secondary raw material that is created within a year. By using agricultural waste as a raw material for paper and board, we obtain food as well as the raw material for paper and board from the same plant and the same piece of land. From an ecological perspective, this is much more logical and is better. Additionally, it gives us the opportunity to create a system in which farmers receive compensation for the food they produce as well as compensation for agricultural waste. PaperWise is a new generation of environmentally friendly, socially responsible paper and board made by using the stalks and leaves of plants left behind after harvest. Our products’ environmental impact is 47% lower than paper made from trees and 29% lower than recycled paper. PaperWise is produced in factories in India and South America that make a big difference to local communities. Investments are made in education, infrastructure, and healthcare while the manufacturing process is geared toward safety, zero waste, and preserving local ecology. It is our ambition to change the paper industry and make a positive contribution to well-being and nature worldwide. PaperWise is scalable and can be applied throughout the entire paper industry with the necessary adjustments. The concept needs to be better known. If you would like to help give agricultural waste a second life, prevent the waste of valuable raw materials, and contribute to corporate social responsibility, then use PaperWise – be Wise With Waste. We aim to keep going until children at school learn that paper and board are made from agricultural waste!